We prepare your child for success in the classroom and life in the future. Y3K Tutor In Your Home of Wayland, MA takes pride in educating all students. 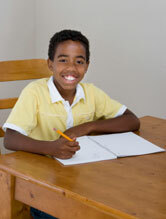 Our tutoring has proven to build academic skills, motivation and self-esteem unlike any other educational service. Since 2003 we have tutored students attending the Wayland Public Schools including the Claypit Hill School, Happy Hollow School, Loker School, Wayland Middle School, and Wayland High School. We have also provided tutoring for students attending many private schools in the surrounding area such as Cambridge School of Weston, Corwin-Russell School at Broccoli Hall, Dana Hall School, Fay School, Fenn School, Gann Academy, Hillside School, Meadowbrook School, MetroWest Jewish Day School, Noble and Greenough School, Rivers School, Sudbury Valley School, Tremont School, Walnut Hill School for the Arts, and Willow Hill School. We specialize in teaching the students that everyone else has left behind. We also teach gifted students, who need specially tailored lessons to reach maximum potential. Y3K Tutor In Your Home of Wayland does not write off any student under any circumstance, and believes everyone can learn to the best of their abilities. Our many years of experience tutoring and educational consulting has developed the right way to motivate, teach, be understood, and have the student remember what was learned. We teach those in Wayland with mild to severe special needs and regular education students as well. We tutor special education children with issues including ADD, ADHD, anxiety, Asperger’s, autism, behavior, concussions, executive function, gifted, language disabilities, learning disabilities, life-skills, pervasive developmental disorder, physical disabilities, and Tourette’s Syndrome. We also teach regular education children organization, homework coaching, motivation, homeschool help, study skills, and time management. All major subjects are covered. We are familiar with the curriculum of Wayland Public Schools and the area’s private schools. Our math tutoring includes algebra, geometry, basic operations, and Math Olympiad competitions. Our English language arts tutoring includes reading comprehension, writing, phonics, and reading fluency. Other subjects we tutor include history and science. Y3K Tutor In Your Home also tutors students in test preparation including the ACT, GED, ISEE, MCAS, SAT, SSAT, and TOEFL exams. Y3K Tutor In Your Home of Wayland, MA is the area’s best in-home tutoring company. We tutor students from pre-kindergarten through adult. As a convenience, our tutors conduct tutoring sessions at your home or other places throughout the town. Some of these alternate locations include the Wayland Free Public Library, afterschool programs, neighboring coffee shops, and the student’s school.